Patagonia will introduce the world’s first neoprene-free, wetsuits made with plant-based material for Fall 2016 – a groundbreaking innovation that doubles down on the company’s initial entry into natural rubber last year with another industry first and expands Patagonia’s Yulex offering from 2 to 21 wetsuits for men, women and kids. The entire line of Patagonia’s new, high performance full wetsuits are made with a natural rubber developed by Patagonia’s partners at Yulex and Forest Stewardship Council® (FSC) certified by the Rainforest Alliance. The new, neoprene-free Yulex® wetsuits perform better than Patagonia’s traditional neoprene wetsuits and they’re extremely durable. By using natural rubber in the suits Patagonia is reducing the CO2 emissions required to produce traditional neoprene suits by up to 80%. The FSC certified rubber is blended with 15% neoprene-free synthetic rubber for the benefits of increased ozone and UV resistance to meet Patagonia’s rigorous demands for durability and strength. The new plant-based material pioneered by Yulex is sourced from a hevea plantation that is independently certified to the FSC standard by the Rainforest Alliance, ensuring that products are produced using environmentally responsible practices. As with their previous work, Patagonia and Yulex will again share this groundbreaking innovation with other companies, hoping to create a shift toward cleaner and better materials throughout the surf industry. Patagonia’s blog post about the dirty impacts of neoprene published in 2008, the year we started manufacturing wetsuits, led to our collaboration with Yulex on a plant-based rubber that met our performance requirements. It’s available here. Patagonia’s 2016 wetsuit line has new fast-drying thermal linings and a floating front zip design as well as back zips. The new and exclusive inverted microgrid linings dry faster than ever and create lighter suits while maintaining excellent warmth. The Floating Front-Zip increases the wetsuit lifespan and features an asymmetrical flap for better stretch, seal and mobility. Unlike other designs, the zipper is replaceable. Featuring wetsuits rated for six different temperature levels, Patagonia’s collection can accommodate water temperatures from 23°C down to 0°C. The new wetsuit line will debut globally in Australia in March 2016 with 6 fullsuits. All 21 fullsuit styles will be available in July 2016 in North America, Europe, and Japan. 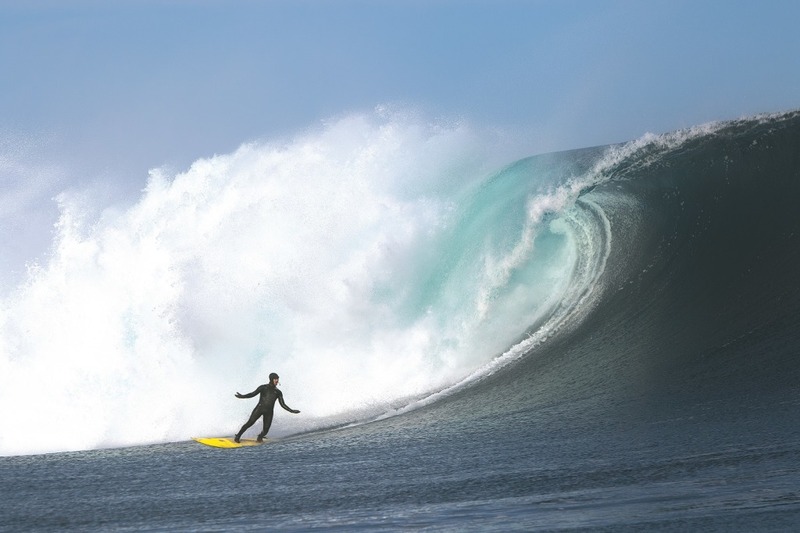 Patagonia Wetsuits are available for purchase at Patagonia retail stores, partner stores and at Patagonia.com.